NEW! – The latest technology in hair extensions, the AMAZING “Angstrom Tip Hair Extensions”. The smallest and most unique application that is undetectable to the human eye. Angstrom can last up to 2 years and longer, no more need for re-tipping, the “Angstrom Tip Hair Extensions” are made to last. Sirens Hair Extensions are proud to give you the latest technology in hair extensions. We have launched an amazing NEW product the Angstrom Tip hair extensions. “ANGSTROM” is the smallest and most unique application method available and is undetectable to the human eye. With it’s light tip and minute ring. The “Angstrom Tip” will give you no damage to your natural hair what-so-ever. No heat, no glues, no pulling, no matting and no tension. 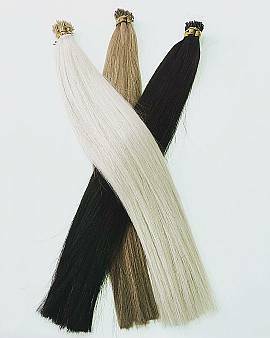 These hair extensions can last up to 2 years and longer. No need for anymore re-tipping as the “Angstrom” are made to last. The “Angstrom” will speak for itself and perform on it’s own and will continue to be #1. Angstrom Tip Hair Extensions are very popular with Hollywood actors, stylists and seen among ‘A’ Lister events. We want you to experience the latest fashion hair accessory on the Australian market today. Profitable for stylists and affordable for clients. CHALLENGE and TEST and try our latest “Angstrom”. Trial sample packs are also available. Colours: We provide a wide range of popular colours.